Maintenance of Gas handling systems has become essential to various customers looking for better and better option to keep their system up & running with minimum downtime. We carry out maintenance contract on Comprehensive & Non-Comprehensive basis. 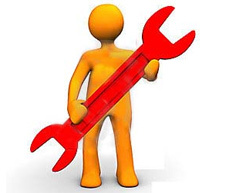 We have dedicated team for Maintenance and our services are present in across an India. Complete distribution systems of inert, flamable, explosive, pyrophoric, toxic and hazardous gases. Complete distribution systems of utility systems - chilled water, compressed air, vacuum, vent, raw water, process water. Complete gas detection systems low gas alarm systems, leak detection systems, gas monitoring systems, automations for gases and utility. We ensure you & your plant’s safety. We ensure healthy & safe working environment. We ensure utmost precision & quality. We ensure your systems are up & running. Periodic and Professional Maintenance is a Prime factor and Key for Consistent Quality Output and Safety of your Employees and your Plant..